Welcome to the LOLA Community Podcast. An exploration in Well -Being, Yoga, Ayurveda, Meditation, and SOUL CARE. Practical tips for living, breathing and THRIVING in our communities, our lives and our world. We use the principles of LOLA. 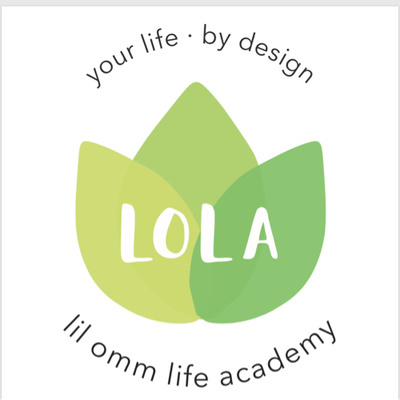 The lil omm life academy ( LOLA) teachings are based on Ayurveda, Attraction, Alignment and Authentic living. Your life. By Design. Jenny Johnston is an EFT ( tapping) and Past Life Regression Practitioner. I met Jenny a year ago when she did a session with Saylor and then she also helped my husband this Fall. Jenny specializes in integrating EFT and Past Life Regression in order to understand our past challenges and to release them so that we can live a healthy and fulfilled life. You can learn about all of Jenny's online classes and watch her videos here. This is a very special episode with my friend Roberta Halpern, author of Courage Reborn: Finding Peace and Purpose after losing my children. Roberta is a writer, healer and mother who shares her story of loss and how her writing has helped her through processing and healing. She has transformed her experience into writing this book and leading grief circles for other parents who have lost children and loved ones. You can learn more about Roberta's work at http://www.dragonflyhealingarts.net/. In this conversation, Katherine Reynolds Lewis and I discuss her amazing book, The Good News About Bad Behavior.. She talks about why she wrote the book, some of the research that she found along the way and some tips that you can use in your own family. You can learn more about Katherine and her work, here. In LOLA, our Semester 1 students are learning about self- healing. I recorded this meditation for our community, based on this information from Ancient Chinese Wisdom. It's a great refresh meditation and healing/nourishing meditation for all. Enjoy! #72 In Real Life: What is People Pleasing and Why Do We Do It? This episode is a little different than normal b/c it starts with my just digging into my own experiences with people pleasing and my shifts and changes over the years and in friendships with over caring for others lives AND wanting people to like me. Then, I invite therapist, Francine Ronis, to join in and go deeper with some of the information I learned when I posted about this on Facebook and felt like we needed to have a deeper dive into what the layers of people pleasing are. Enjoy. You can find Francine here. In this conversation with Yael Flusberg, we talk about Energy Healing, Reiki, Yoga. I think you will appreciate Yael's spirit and wisdom. You can find out more about Yael and her writing, yoga nidre and mindfulness classes and retreats at https://yaelflusberg.com. ENJOY! # 69 What does it feel like to be 11? Today I chat with Paula Atkinson, psychotherapist and Body Justice Advocate about the history of diet culture and the rise of the Health At Every Size movement. We hope this conversation is helpful to women ( and men) who have had any challenges with food and body image. You can learn more about Paula at http://pauladatkinson.com/. #67 What is Breathwork and Why is it Important? Today I share a wonderful conversation with Erin Telford about yoga, breathing, spirit and emotions. She's a Breathwork facilitator who left her acupuncture practice in NYC to explore traveling, spirit, writing and nature. You can practice with her, at https://erintelford.com/resources. Enjoy the conversation. I kick off the episode with the poem, Womankind by Danna Faulds. Michele is back on the podcast today to talk about confidence and the brain. We dig into 5 confidence killers and we talk about how and why to build confidence. What happens in your life when you don't have confidence? What's the root? We dig into tips for building the confidence muscle in your own life, noticing and working with negative thought loops, feeling the feelings and emotions as they arise. You can learn more about the brain with Michele at https://www.nectarconsulting.com. In this episode, I talk about my own discomfort in some areas with parenting and how others project my value and worth based on my children. This is a casual episode that just brings to light some of the realities I am experiencing that might be helpful to you. Today I talk with therapist, retreat guide and friend, Amy Babish. Amy shares intimately about her divorce, parenting, tantra and following her guides in her career and in her life. You can learn more about Amy here, http://www.amytatsumi.com. Enjoy! J. Brown hosts the Yoga Talks podcast which I have listened to for many years. I am excited about having this conversation with a fellow former studio owner, yoga enthusiast and the teacher who created the slogan "Gentle is the New Advanced" which is one of my favorite themes in yoga. I loved talking with J about fatherhood and integrating a yogic lifestyle into daily life. I opened our conversation with this quote, "Yoga is a way of moving into stillness in order to experience the truth of who you are." - Erich Schiffmann. #60 What is the Enneagram? Why would we study it? Finally a podcast on the Enneagram! My favorite tool for relationships and self- growth. You can learn more about my friend and leadership coach, Catherine Hayes, here. Saylor is back for another short meditation, this time on snow and fun. Sit back, relax and Enjoy! In Real Life episodes are monthly check ins about real life issues, topics and thoughts. These are the most intimate and real time episodes that will give you something to chew on, journal about and reflect on in your own life. This month, Pleasance reads a poem called " And Then It was Quiet" and reflects on education system, parenting, changing relationships and moving through the "floods" of our lives. #57 What does Law of Attraction have to do with Racism? Today, Rita and I dive into an intense conversation around why Law of Attraction is sometimes called racist. We dig into questions and insights around triggers in spirituality that are layered with privilege and where they come from. In LOLA online, we are studying LOA for the month of January. It is valuable to discuss some of the shadows of these teachings and to bring to light a variety of perspectives, questions and voices. We would love to hear from you, info@lilomm.com with your feedback, questions and comments. This is a short meditation on love given by Saylor. You can listen and then sit for a few minutes in silence. Feel free to journal after about anything that comes up in your meditation. Happy 2019 to you all! Today dive into scheduling, planning and making space with Katie, a member of our community. She opens up her life, thoughts and patterns to help you create the life you desire in 2019. This episode/workshop is great for anyone thinking about planning for 2019, wanting to make shifts and changes to their daily life and mindset practices. Also, for anyone wanting to live more in alignment. Email me for a copy at pleasance@lilomm.com PlanAFesto We honor seasons and cycles. We relax into abundance of time and energy. We choose experiements and explorations over rigid structures or "the one way." We are skillful and strategic with the big picture and the sacred ordinary day. We practice awareness, creative problem solving, and consistency with love and compassion. After 50+ episodes, it's time to sign off 2018 and close out the Soulful Self- Care Sessions. Thank you friends who recorded messages. Thank you to all the guests who chatted with me this year, I love you! Thank you listeners. This has been so fun. May you be happy. May you be safe. May you live with ease. Stay tuned for the LOLA Community Podcast in 2019. In this episode, Parent Coach, Randi Rubenstein and I talk about meeting the physical and energetic needs of our children and ourselves, conscious parenting, self-care as a parenting tool and building a biz while raising our kids. You can find Randi at. http://www.randirubenstein.com and grab our seasonal self-care guide at lil omm.com. This month, I talk in depth about choosing creativity over productivity and how I see this in relation to experimenting with feminine energy over masculine. I explore the shifts and change as I navigate a messy time transitioning from THRIVE to LOLA and how I'm moving through all the fears and unknowns with a commitment to my intuition, self-trust and inner being. Learn more at lilomm.com/thrive or send me an email, pleasance@lilomm.com . Download our Seasonal Self- Care Guide at www. lilomm.com. In this special episode, I invite you to experiment with sobriety in November and December this year RATHER than waiting until January. This practice may give you some profound insights and confidence for living with less alcohol in the future. This is a special episode based on emails and messages you sent to pleasance@lilomm.com. I answer Thriver questions about the basics of journaling and daily prompts. Enjoy! I have heard about and followed Randi's work for a while now and am honored that she took the time to chat with me. I love the idea of Healthy Boundaries for Kind People and hope you will too! You can learn more about Randi at https://www.randibuckley.com. ENJOY! Here is my monthly update on teachings, life and practice. This one is live from the Center for Mind- Body Medicine Training in Ellicott City, MD. learn more at www.cmbm.org Enjoy! #38 Meet Mel!!! My super private husband is my guest today. Today we have on my husband, Mel Silicki. Mel and I have been together for over 20 years and today we talk about HIS self- care practices, podcasts and books, and he answers questions from Thrivers! Enjoy! Mary and Emma Kingsley talk about building a biz together as a mama daughter team, working, living and breathing the Lady Farmer Life! Join us all at the Slow Living Retreat and Conference. Visit ladyfarmer.com for more info. #36 Conversations about Change and Evolution with with Jodi Komitor, Innovator, Creator. This is a conversation with the incredible CEO of Next Generation Yoga. Jodi and I jam on changes, evolution and letting go. This is a great episode for anyone facing change or tough decisions in their life. Enjoy! #35 September Just You and Me! Each month, I open up about what's going in my world of study, awareness and reflection. I'm walking up a hill in this one and you can hear the cars pass by! Enjoy. Susan comes back on the podcast, this time to talk specifically about the shift to Vata Season. We also dive into basic teachings of Ayurveda, digestion, the gunas and lifestyle practices for the season ahead. Enjoy! #32 Inspiring Filmmaker, Jeremy Frindel. Creator of the film, Doctor From India. I am OVER THE MOON to talk to Jeremy Frindel. He is the filmmaker and Director of two of my favorite movies, One Track Heart: The Story of Krishna Das and The Doctor From India, about Dr. Vasant Lad and Ayurveda. You can see this film in DC on Thursday, September 27 at Landmark. pleasance@lilomm.com for more information. Enjoy! #31 Creative Visual Mapping for Decisions, Dreams and Desires! This episode is packed with teachings and tidbits from many years of studying mindset, law of attraction and energy. I will teach you how to map out your desires and help you problem solve and make decisions for your life. Grab your journals and enjoy! This is also available as a video at https://vimeo.com/lilommyoga. This episode is also available on our Vimeo Teaching Page, https://vimeo.com/lilommyoga. I recorded this mini class for our Thrive Squared Year long class to accompany their study materials. Enjoy! In this episode, I interview my daughter, Saylor. We talk in depth about her dyslexia and learning challenges at school, superpowers for kids, stress for 10 year olds and her insights about how to take care of yourself and your emotions. Enjoy! # 28 What is Healthy Anger? Today I am going all in with a talk about ANGER. What is it? What's happening to us when we get angry? What are some ways to express healthy anger? You can join our community at lilomm.com/thrive to learn more! Today I share readings and connections from the book, The Last Best Cure by Donna Jackson Kawakanza. I share why this book was validating and so potent. My friend Jen is living the dream with her 3 girls, husband and their new RV BUS! You can check out their lives on https://byerswithoutborders.com/blog/. Enjoy! #25 Conversations with Rita: Being Sober, Self-care & Seasons. You guys!!! I get to chat with the world famous TAROT Lady today. The amazing Theresa Reed. You can learn more about her at thetarotlady.com. Super excited for you to hear this interview! This one is for all the parents out there! 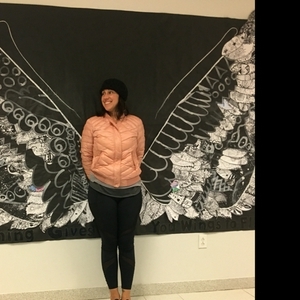 My best friend, Meghan Leahy Parent Coach shares her wisdom, humor and honesty with you all. Warning: ADULT LANGUAGE! You can learn more about Meg at https://www.mlparentcoach.com- ENJOY! Every month, I take some time to download to you all about teachings, life and what I'm integrating. These are the most intimate episodes where I just speak to you from my heart. Thanks for listening. And as always, pleasance@lilomm.com or soulfulselfcare.com for connecting. #21 Self- Care with my Biz Mentor: Racheal Cook. Meet one of the smartest women in biz I know! Racheal Cook. In this session, Jen and I jam on work life balance, raising kids and building biz. Jen is writing a book on this topic and I love her honesty. Enjoy! Enjoy this Book Chat from one of my all time favorite Buddhist teaching books by Pema Chrodron. Join Susan and I for a conversation about our favorite topic, Ayurveda. What is it, how did she become a student and a teacher of it, why it's relevant to YOUR LIFE and how to start using it today. Susan is the author of Ayurveda Beginners' Guide, which is available everywhere books are sold. Take some time to dive into summer practice and reflection. Today, Katie and I dive into self-compassion as a life long practice of self-kindness, mindfulness and common humanity. Join us in this intimate conversation around developing self - compassion in our real lives. In this episode, Rita and I jam on MONEY and service. Join Rita and I for a writing retreat this July. Enjoy! Carol and I jam on why we love Positive Psychology, how it integrates with our love of wisdom traditions and how it is such a helpful field for all humans. Enjoy! Here I explore the topics of things we should do and things our soul calls for. I talk about finding & following flow and how Ayurveda can help us with all of this. Thriver, Cristina & I chat about Law of Attraction, self-acceptance and how Ayurveda practices help us Thrive! In this episode, I reflect on a variety of ways that creatives shapeshift, transform and evolve. I go in depth about some of the reasons WHY it's important, what the outcomes and results have been in my life and how it all links/ connects together. #6 Conversations in Race and Rising Up. Meet my dear friend, Rita Stevens. Rita is a soul sister and a powerful woman who represents everything I admire. Resilience. Beauty. Clarity and Truth. Rita says, " we have to keep it real, in order to heal." In this episode, I talk about our Thrive program and all the lifestyle practices that compliment and integrate with one another. Hope this helps inspire and uplift you on your own THRIVE journey. I talk about Mindset by Carol Dweck, books by Dr. Joe Dispenza, the Enneagram daily notes and Abraham Hicks daily thoughts as well. Today I'm exploring the phrase " good is good enough." What do you think about boundaries, perfectionism, creativity and FEAR? #2 Birthdays, Whys & Intro to the Podcast! Welcome to our intro episode.. where I share WHY I created it, what to expect in upcoming episodes and More! Thanks for listening.